With exclamation marks… I am not sure what happened, but when the notifications say “your stats are booming” something must be happening. 80 views in one day… I am used to 3 views or maybe 10 on a good day. I also saw someone coming from Nate‘s blog. I have no idea who you are… But I am grateful for this. Yesterday I posted a chapter (admittedly everything there is) of a thing I called Upside Down. I wrote those words late, and I was quite tired by then. I am sure there are a couple of mistakes and errors in there… But as a faithful reader, you are aware that every post has at least one typo. Be it as it may… I am not sure how to proceed and if anyone who follows this blog wants to read things like that. My overthinking and self-doubting self is a bother again. I am not expecting an answer because in the end I will do whatever seems right to me and comes naturally. If you say yes, I pressure myself too much. If you say no, I doubt myself and my capacities as a writer. You can’t win. I cannot either. I am a tired woman wearing bright green pants (with huge white flowers – hideous pants) who is seriously considering giving Milly Baker and Josh Weller a backstory and making their characters come alive. The last names were a spur of the moment thing. Thanks for letting me vomit my self-doubt on your screen. I could go on and on about it… But who wants to read that?! And I don’t want to write it. Did you know? I published two paperback poetry collections this month. Ever since, I feel as if I am getting my balance back. I did something that means a lot to me. I fulfilled my own dream instead of waiting for someone else to do it. And it feels amazing. Although… I am a bad business woman. I don’t make money and I don’t advertise nearly enough. 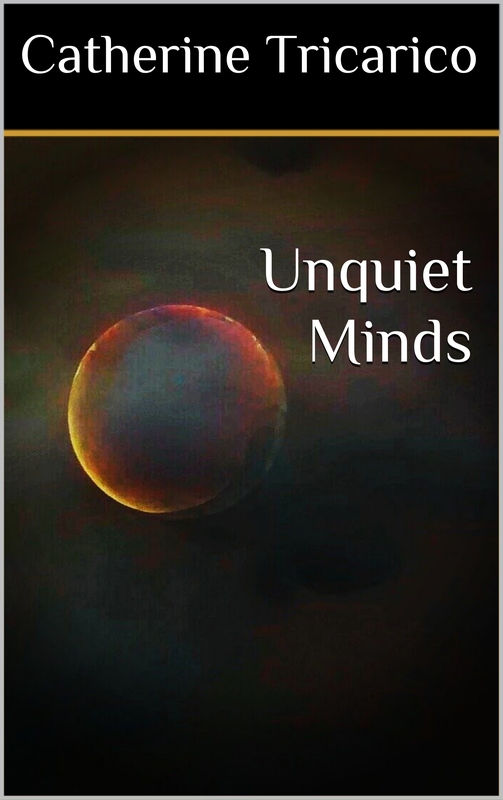 Instead, I ordered a bunch of copies of Unquiet Minds, and I am giving them away (for free). See? Bad business woman. I invite you to visit Amazon and buy your copy, or get in touch and we can figure something out. It is great poetry from the heart, and it looks great too. Promised. So yes, I am way better than I was last month. Thank you for your support. I appreciate it more than you know. I didn’t mention it before, but it is pay what you want for the ebook. If you can’t or don’t want to pay, then simply reward me with a couple of nice words. My email address is at the end of the book. Too much content in these last 24 hours. I am a little sorry for all the notifications you are receiving. Either way… Thank you all. I wouldn’t be doing it without you. I actually missed my blogging anniversary. It’s been 5 years since I write whatever comes to my mind on this site. In the beginning, I was shy about sharing my poetry and most of my older posts aren’t tagged at all. In the old days, this blog was mostly about music that I liked and I shared YouTube links. But then came the day that I realised that liking music didn’t make me a critic – and I never wanted to be a critic either. So? Why holding on to a concept I didn’t like anymore? I took off almost every music. I also took off most of my personal posts and began sharing my writing. I am not sure what the future will bring. But I learned that writing is more than just spending some time doing something. Writing helps me to filter my thoughts and put them in order again. To everyone out there spending time here on this blog, thank you. I appreciate it a lot and I hope you never feel like you just wasted time when you leave my place.